Newcastle United's captain Jamaal Lascelles has signed a new contract to keep the skipper at the club until 2024, despite signing a new contract only last year. Jamaal Lascelles has committed another six-years to Newcastle United by signing a new a contract to keep the captain at the club until 2024. This comes a week after rumours Chelsea were interested in the young skipper, with those rumours now being squashed as Lascelles put pen to paper to eventually give the Newcastle fans some good news. The 24-year-old has been the leader of the group at Newcastle since Rafa Benitez began including the centre-back in his squads at the end of the 2014/15 season. Lascelles has had many notable outbursts at his teammates for not pulling their weight, especially at Southampton and Everton away when he had only played a handful of games for the first team. The ex-Nottingham Forest player has had a meteoric rise under Benitez as he has claimed the captain's armband, become a permanent name on the team sheet for every game and narrowly missed on going to the 2018 World Cup. Lascelles has been linked to a number of Premier League clubs over the past year with the likes of Chelsea and Everton being interested in the defender and West Ham even lodging a bid for the centre-back during the summer. Lascelles spoke to NUFC TV about signing a new contract: "Since I've been here, everything's been really positive and now I need to get my head down and get this team higher up the league. "I think now as players, we just need to give the fans what they deserve. "We need to put in the performances and make it even more special." When talking about whether or not he was close to a move away from St. James' Park during the summer he had this to say: "All that speculation, I don't think anything was serious. "Now I can focus on Newcastle completely with no other distractions." 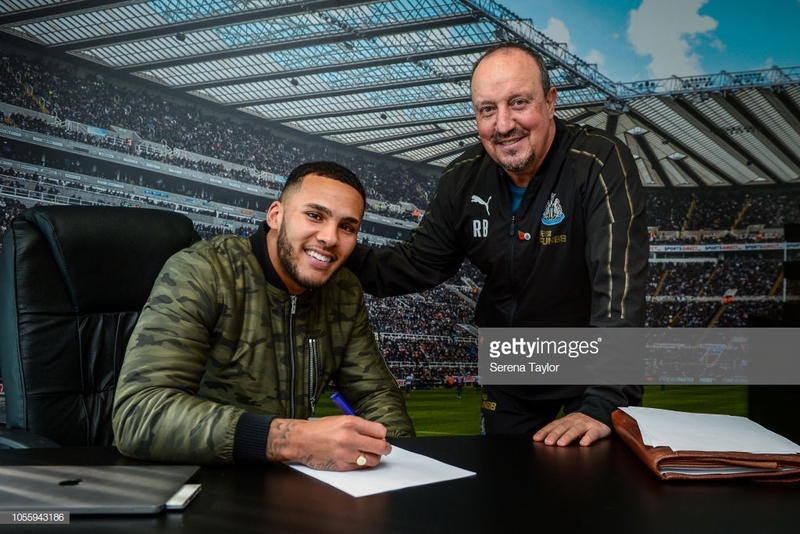 Benitez spoke of his delight for his skipper as he signed a new deal with the club, he told NUFC TV: "I'm really pleased to see Jamaal sign a contract extension. "He's the future of the club and someone who really cares. "He's still a young player, still a young captain and still a young centre-back, so we're talking about a player who has a great future because normally you consider the peak of a centre-back could be between 28-years-old and 30-years-old, so still he has plenty of room for improvement. "He's keen to learn and he's working hard, trying to be a better player every day, so it's good news for the club."